After having tried this dish for the first time at a local Indian restaurant, I decided to make a lamb version. I didn't use a store bought mix, sauce or base, but made it from scratch. Although a bit time-consuming, it was SO worth it! This dish will certainly be a future regular in my kitchen. 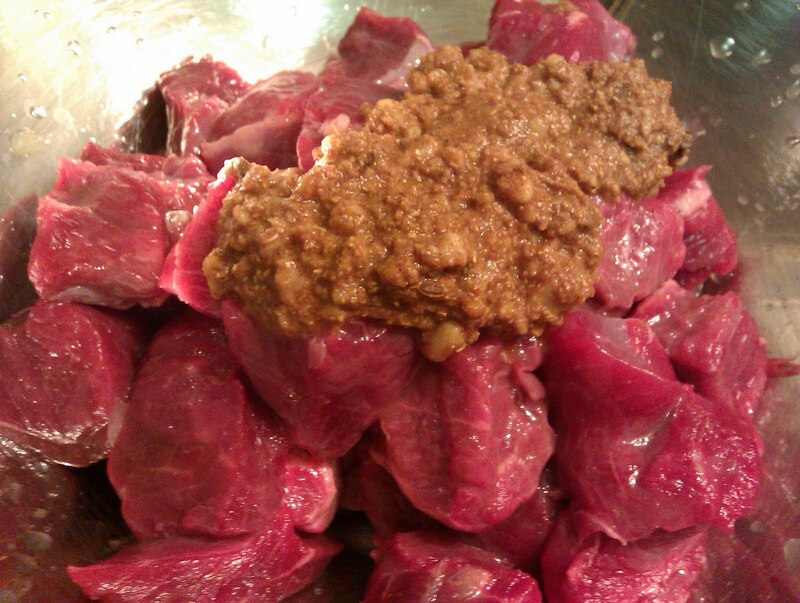 Remove excess fat from lamb, place in a bowl. In another bowl, mix coriander, paprika, cumin, aniseed, turmeric, cinnamon, cardamom, cloves, ginger, garlic, vinegar and lemon juice. Add to lamb and mix well. Heat oil in a large saucepan, sauté onions until golden brown. Cover saucepan and simmer with no added water for 40 minutes. 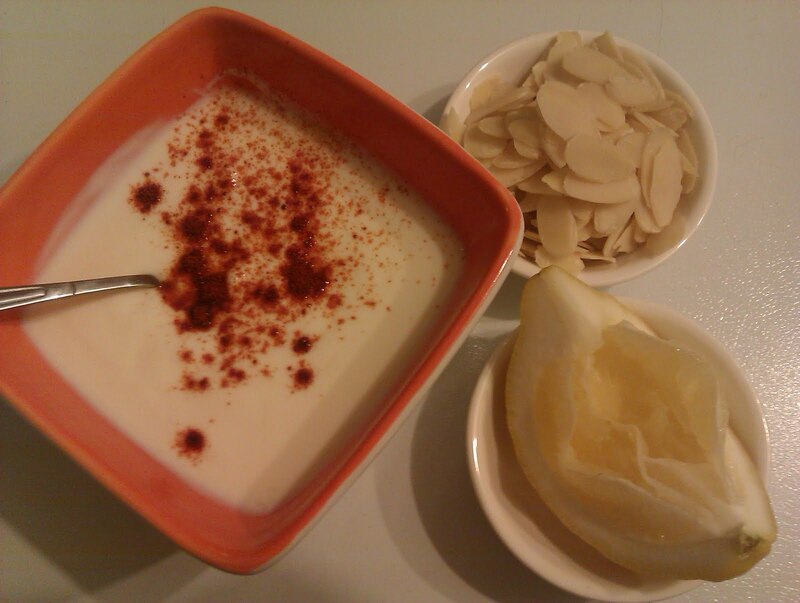 Remove from heat, add almonds and yoghurt. Cook covered, until liquid has dried up and oil rises. Remove saucepan from heat and put aside. 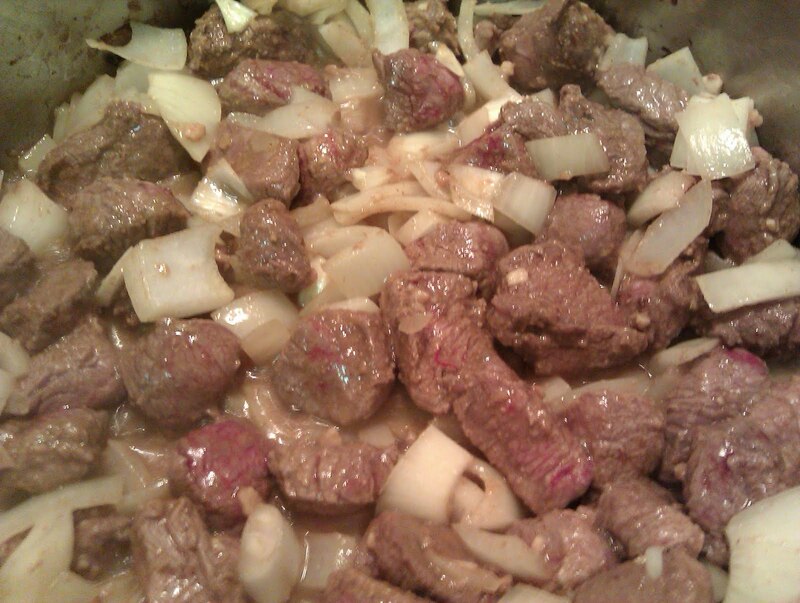 In a large saucepan, heat oil and sauté onions until golden brown. Add ginger and garlic and sauté for 2 minutes. Add rice, water, turmeric, cinnamon, cardamom, cloves and bay leaf. Boil it covered until rice is three-quarters cooked, then reduce heat to very low. Add milk and continue to cook until remaining liquid is absorbed. Stir rice with a fork, remove from heat. Transfer half the rice to a serving dish or casserole. 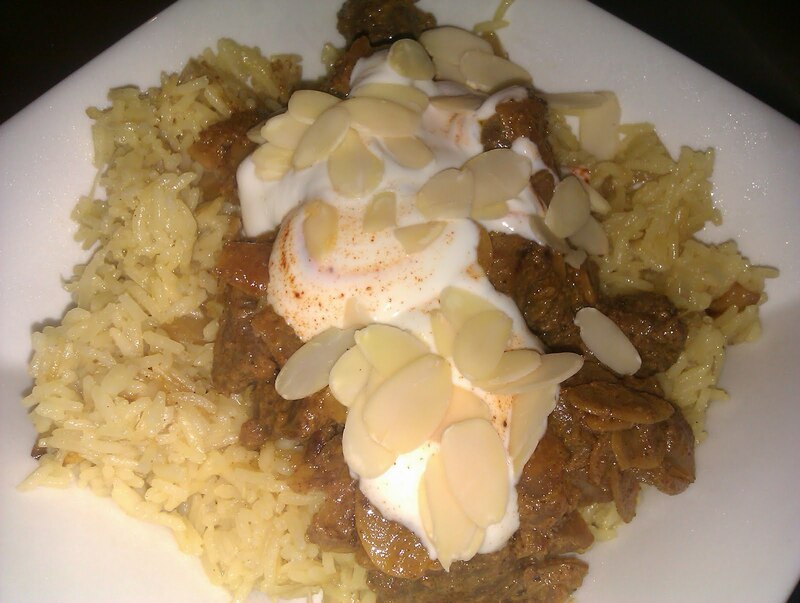 Spread half the curried lamb over it. 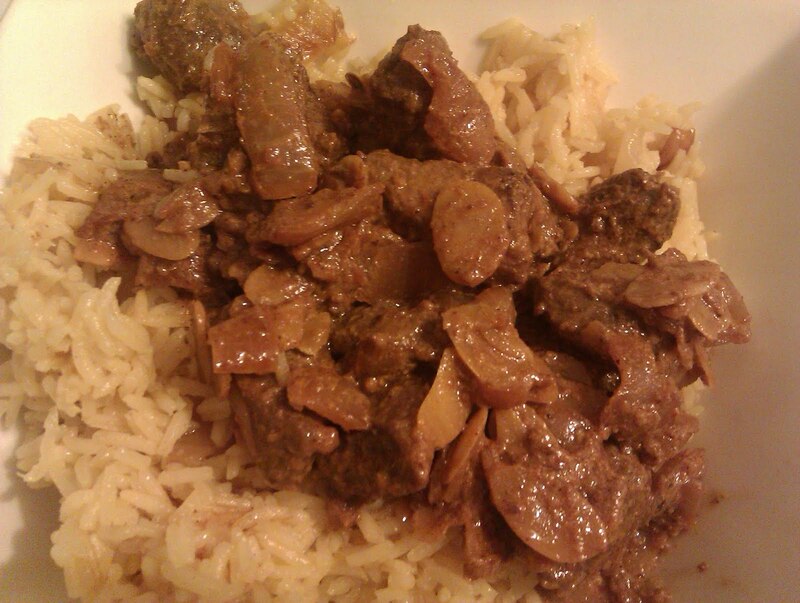 Make another layer of rice, and top dish with remaining lamb. Lamb with marinade, before mixing.